Welcome to the Jacob Henry Mansion, Landmark Destinations, Joliet’s tour planning service. Landmark Destinations is proud to announce its full planning service to include the Joliet area as a complete day-trip destination. We are prepared to offer full two to eight hour planned itineraries that include all of Joliet’s top attractions and the surrounding area. With just one phone call to our office, we are able to handle all of your arrangements and make sure your day is complete. All you have to do it issue one check and we will handle the confirmations and payments. The lovely and full decorated mansion (1873), a Historical National Landmark, is well known for its beauty, old Victorian Charm and furnishing as well as its homemade meals and entertainment, make the Jacob Henry mansion Estate the perfect place for group events. Our menu of delicious entrees are prepared right here in the mansion, with an extensive selection to choose from. Our entertainment packages offer some of the best performers or speakers in the area. Many of the artists mentioned in our packages have performed with some of the Great Celebrities, or appeared on television, theaters, and even commercials. Your group with find delight in any of our packages. Don’t see what you’re looking for, or maybe you need a special theme? Just ask us! Our experienced event planner will be more than happy to assist you in making your special occasion a most memorable one. 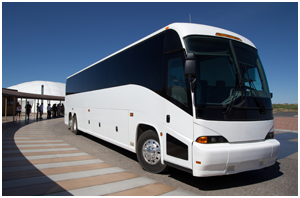 We look forward to working with you to make your job lighter and your day trips a complete success. Let us do the work for you!